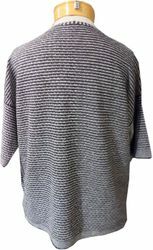 Detailed in so many ways, this cool and easy to wear Eileen Fisher top is simple and anything but. 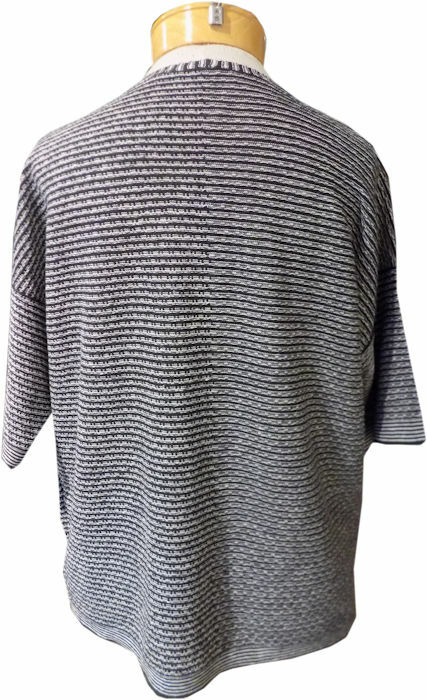 A drop shoulder, short elbow sleeve v-neck, with a variegated ivory/graphite knit that has texture and dimension. The stripe picks up as contrasted at the neckline, sleeve cuffs, waist and downs a slim vertical line from the bottom of the neckline to the waist. Overall, it's just super cool.